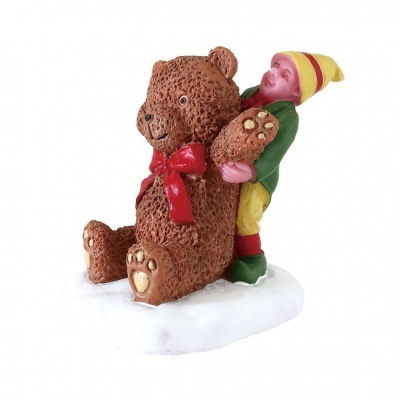 Lemax Big Bear Figurine depicts a young elf out in the snow at Christmas clutching a giant toy Bear determined to carry him despite the Winter outdoors. Suiting a Lemax Christmas village setting this Lemax Village scene figure joined the Santas Wonderland range in 2018. Lemax Big Bear is a hand painted polyresin figurine mounted on a single snowed base to compliment your seasonal Lemax Village Christmas display.